Article by Andrew Stephens published on The Sydney Morning Herald. “'Should we cover it up?' Brook Andrew dares us to confront a troubled past. publication of “Encounters with Legacy Images: Decolonising and Re-imagining Photographic Evidence from the Colonial Archive” by Brook Andrew & Jessica Neathon, on the journal “History of Photography, Volume 42, 2018 - Issue 3: Indigenous Photographies”. 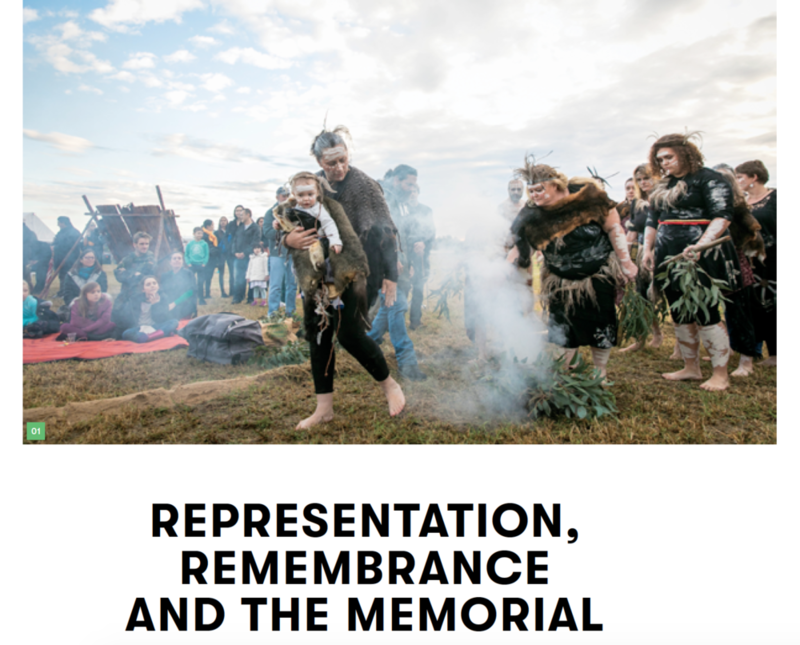 “The RR.Memorial Forum, held in June this year, explored the future of memorials in Australia to the Frontier Wars. Image: Sketch - work in development. Image: Sunset IV, 2016; Postal cards, Sapelli wood, neon; 35,4 x 44,2 x 10 cm. To view and interact with the essay, click here. "The spherical shape references ancient European and Indigenous depictions of time travel and healing. Israeli physicist Amos Ori designed a time machine in this shape and similarly the form comes from a story that speaks of Aboriginal magic trees that form circle shapes in their branches and are in fact time-travelling objects." Read more here.